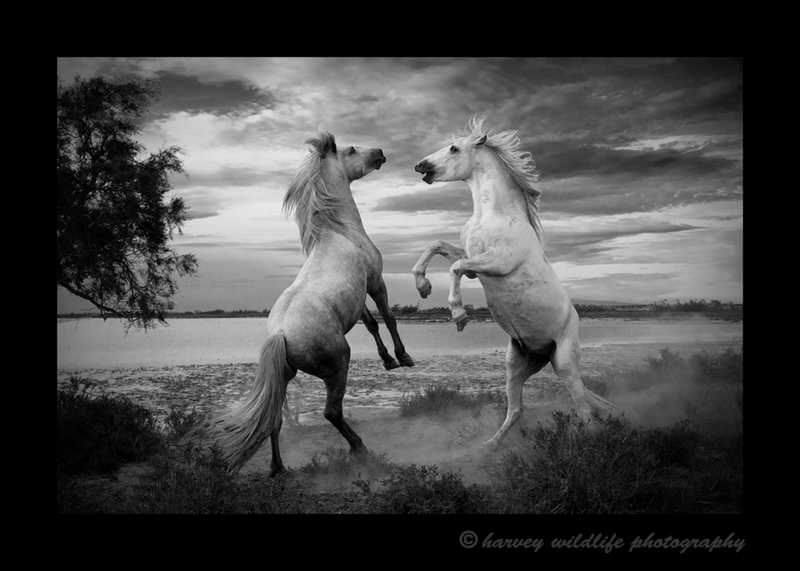 Picture of Camargue horses sparring in Southern France in black and white. Photo by Greg of Harvey Wildlife Photography. 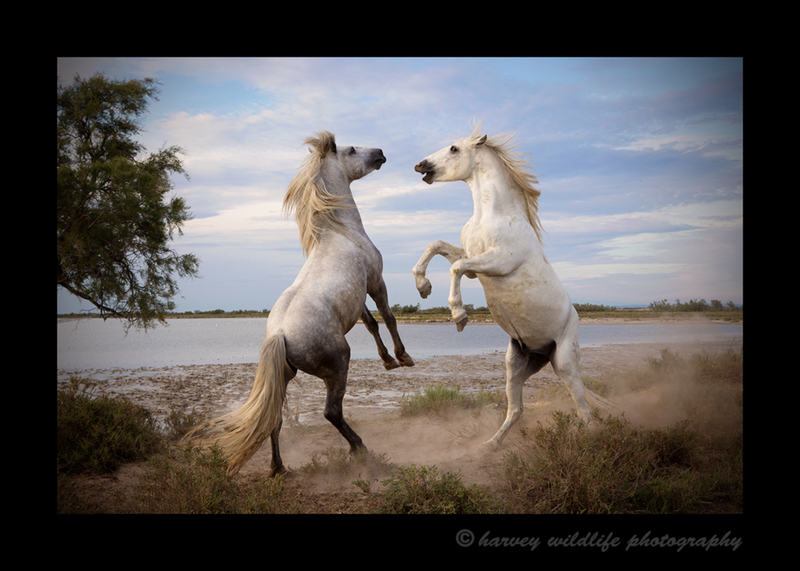 The Camargue is a beautiful destination in France. We photograph the white horses galloping through the etang or ocean. This is one of our trips. We don't currently have any Camargue tours planned.